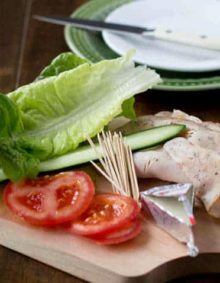 Looking for a quick and easy dinner idea? 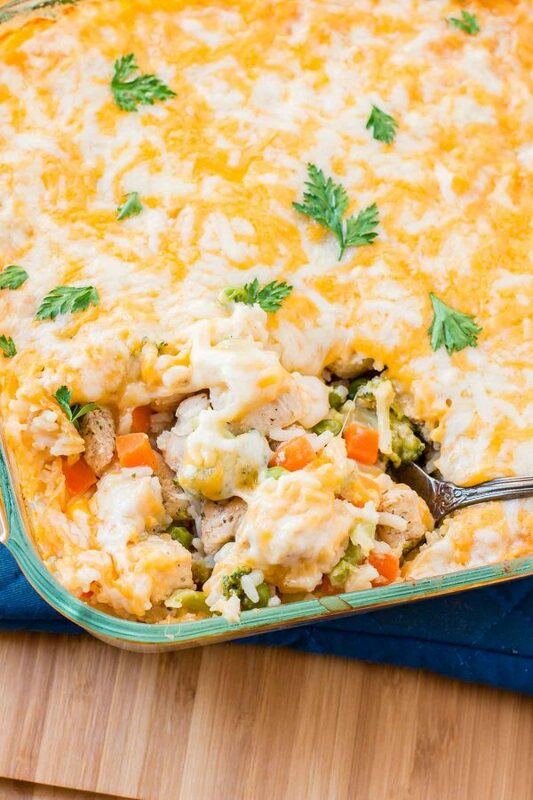 This Cheesy Chicken and Rice Casserole recipe is another version of our VIRAL post, Cheesy Ground Beef and Rice Casserole. This is a sponsored post with Knorr, however as always, all opinions are our own. This is one of the most exciting partnerships we’ve signed on for, like we are completely giddy about working with Knorr this year and while the recipe is going to be a huge hit, there’s more to it than just the food. 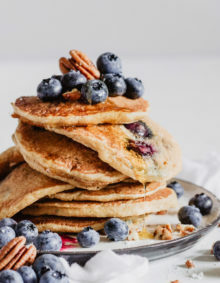 Plain rice—regardless of whether it’s whole-grain brown rice, polished white rice, long-grained basmati rice, or even exotic black rice—is always considered gluten-free, assuming it’s been protected from gluten cross-contamination in processing and cooking. 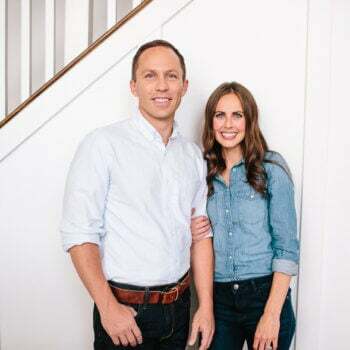 Years ago, Cade was unemployed and we were feeling pretty low about ourselves and a little frustrated about the lack of jobs available. You may have read our raw, tender, and totally true story about the peanut butter on our Oh Sweet Basil Instagram, (make sure you click to read the story) but there’s more to it. Cade told me, hey, let’s see if this blog we’ve got going could really turn into something, so I entered a contest. It was a long shot, but if I made it, they would fly me to California to make the recipe I had created for real chefs who would choose a winner to be an ambassador for the brand, you guessed it, Knorr. I made panko crusted chicken with a lemon cream sauce and as I’m sure you can gather, I won!!! It was not only amazing, but it was life changing. It was our first brand collaboration. Knorr was a great fit and most importantly it literally saved our family and provided the income we needed to buy groceries. Now, I know that was a long story but that’s why we were beyond thrilled to have received an offer to work together again. I mean, that was 6 years ago and now here we are!! 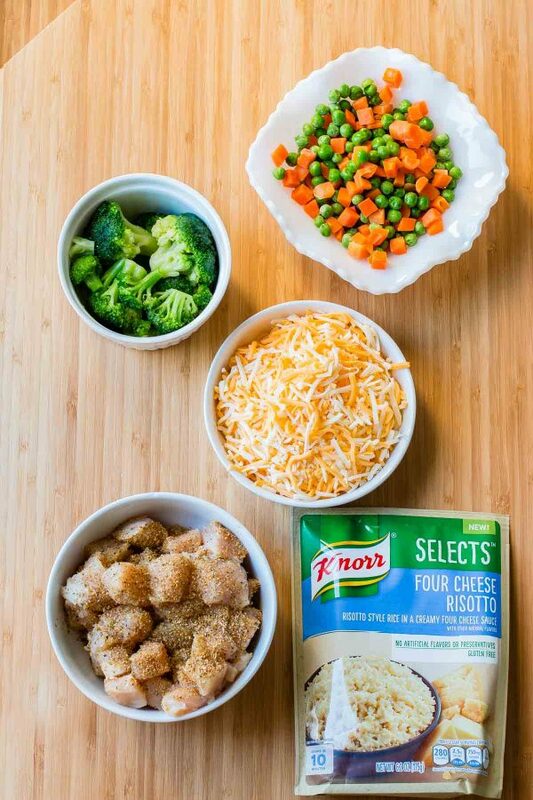 The rice casserole can be made with any of the new Knorr Selects flavors, such as, Four Cheese Risotto, Roasted Garlic Alfredo, well I’ll just let you check out the full list of Knorr Selects online. You just season your chicken with poultry seasoning, cook it in a pan for only a few minutes to brown it on each side, then if you’re really smart you’ll let the kids do the rest. 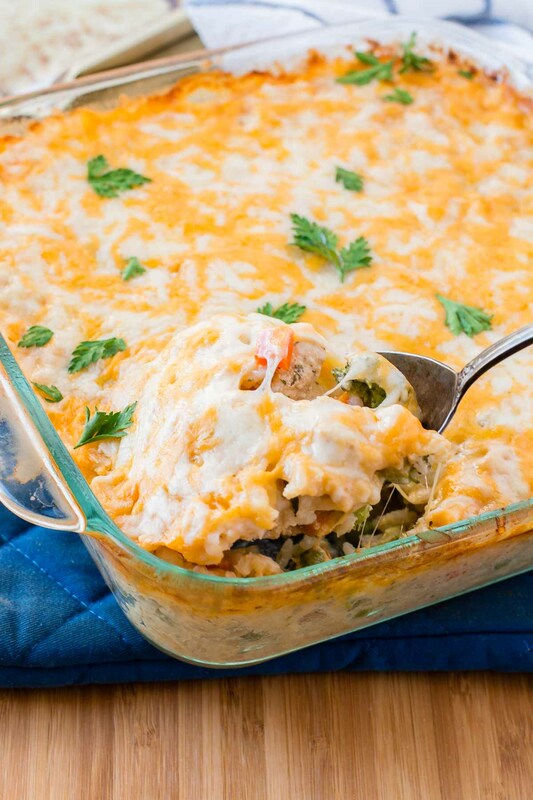 Can Cheesy Chicken and Rice Casserole be Made Ahead of Time? Make Today, Bake Today . . . Or Later. … Make–ahead meals (especially baked casseroles) are terrific because you can completely assemble them in advance and bake them just before serving. Cooking with kids actually helps them be less picky as they are more invested in and more acquainted with the food. So let them pour the rice in a greased pan, add the water and milk per the package instructions, add the chicken, and add any veggies you choose though we prefer carrots, peas and broccoli. The more they touch it and get used to it the more likely they are to eat it! 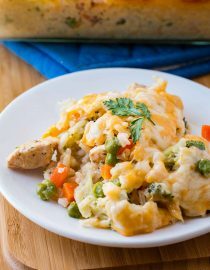 If the kids want to try something just as simple and tasty, they need to try this Rice Casserole! Stir everything together and bake for 30-40 minutes then top with cheese and bake until gooey. What Do You Serve With a Casserole? It depends on what you have in it, or more importantly, what you don’t have in it. If you don’t have enough veggies in your casserole you should have a side of veggies. I like steamed broccoli, green beans, or California blend. A simple salad works too, of course! 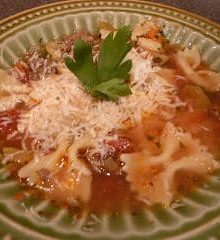 Usually casseroles have rice or pasta in them already, but if yours doesn’t you will want to include a carbohydrate that complements the dish. Sometimes just some toast is enough. 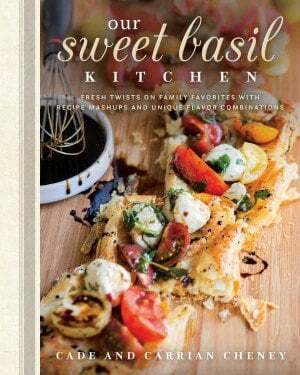 If your casserole is a balanced meal in and of itself, you can offer something simple on the side such as applesauce, cottage cheese, slaw, or pickles. That’s it!!! How totally awesome is this quick and easy dinner recipe idea?! It’s flavorful from the Knorr Selects Four Cheese Risotto, it’s mild enough for picky taste buds and clean up is a two-pan deal, a cinch!!! We can’t wait to show you what else we are cooking up with Knorr Selects, so make sure you check back next month and please excuse us while we sit down and tell our kids the amazing story of a struggle turned success story. We want them to watch for their own glimmer of hope when they are feeling down in the future and know that positive thinking with action will always create opportunities. Spray an 8×8″ baking dish with nonstick spray. Toss the chicken in the seasoning. Heat a skillet over medium heat with a drizzle of oil. Add the chicken and cook until lightly golden or brown on each side, about 1-2 minutes per side. 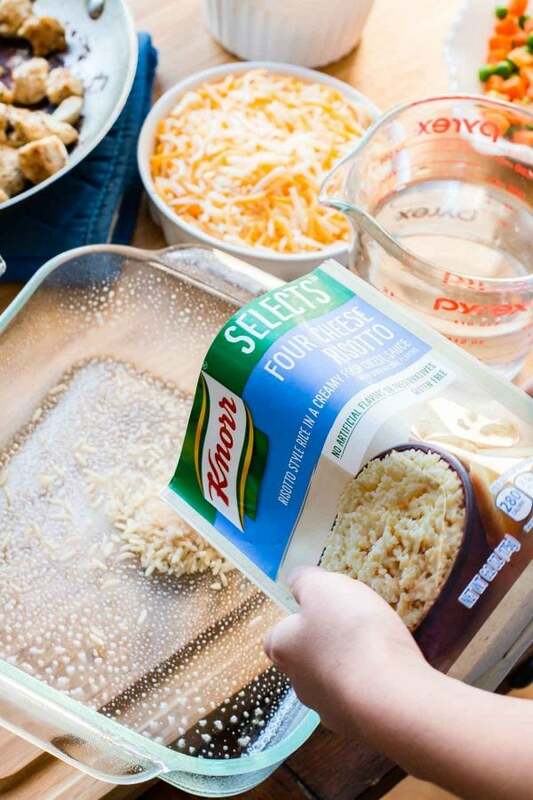 Pour the Knorr Selects Four Cheese Risotto into the pan and add the water and milk, as the package directs. Add the chicken and veggies and stir to combine. Bake at 350 for 30-40 minutes or until the top is set, rice and chicken is cooked and it appears golden brown. Sprinkle with cheese and place back in the oven until gooey, about 5 minutes. I read the comments before cooking and based on the fact that most people said the meal came out with a lot of liquid, I reduced the water amount by half a cup and a little less milk… still came out full of liquid on the bottom. Taste good otherwise. Did you use the long grain rice? There shouldn’t be any water at all as long as it is the correct rice. Lots of liquid left after the 40 min baking time. Turned temp up and added more time…hoping that works. Smells and looks good…hope it cooks! Should I have covered it? Does it need to be stirred at any point during baking? Hi Aileen, you don’t need to cover with foil or do any stirring. At 40 minutes it will have liquid, but by 60 minutes it will be gone. I’m excited to make and try this! Should I cook the risotto first as the package states and then put it in the dish with chicken and vegetables to bake? Or do I just put the milk/water and rice in and then bake? I made this tonight and it looked delicious, but the bottom of the pan was completely liquid. It must’ve separated from the chicken, rice & veggies. Is there something else I can add to make it creamy? Did the oven keep its temperature and it baked for long enough? There shouldn’t be any liquid left at all. I made this tonight and followed the directions exactly.. the bottom of my dish was all liquid, and it’s not casserole consistency.. it tastes very good, but it’s all separated- it’s just chicken and rice… did I do something wrong? Hmmmm, did you use instant rice instead of long grain by chance? With how long it bakes there shouldn’t be any liquid left at all. Sounds wonderful. I can’t wait to make it! That peanut butter story was so touching. I had to pause for a moment as I’m at work and I um… got something in my eye. 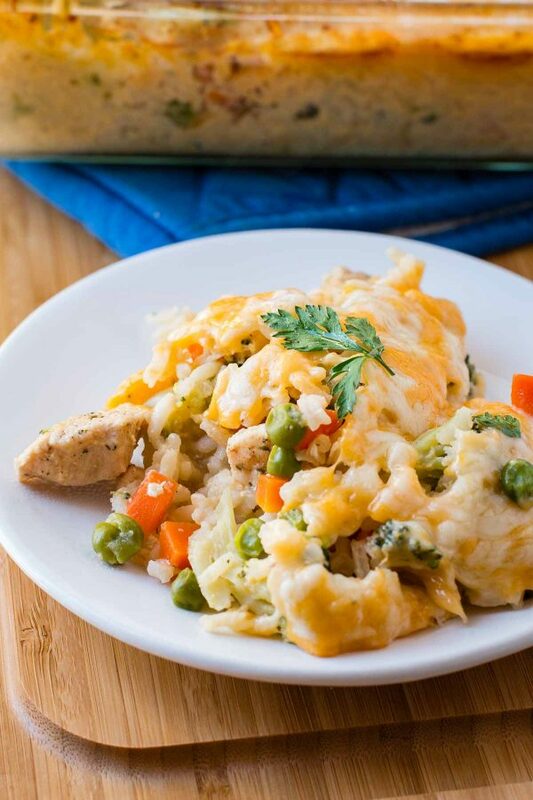 And this chicken and rice casserole looks so darn delicious with that cheesy topping! Seriously YUM. Can’t wait to try it! hey girl- this looks amazing! Right up my alley! « Previous PostWork for Oh, Sweet Basil!